St Lucian born, New York dweller Shala Monrouque is one of four ‘Faces of Fashion’ for the British designer fashion e-tailer, NET- A-PORTER. Shala’s variegated yet elegant style has enraptured the fashion community and she counts leading designers such as Prada and Wu as personal friends. 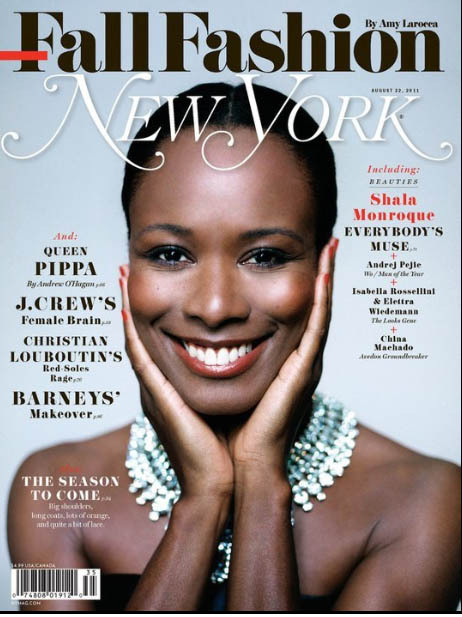 The muse of the moment – Shala has graced the pages of numerous glossy magazines including Australian and Italian Vogue and Essence magazine and she recently featured on the cover of the Fall fashion edition of the famous New York publication.